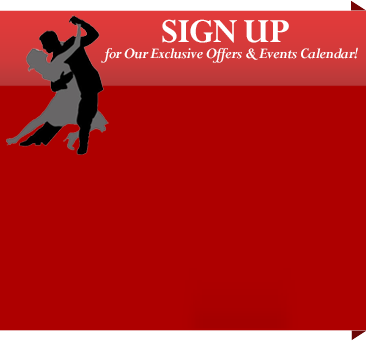 Salsa, swing and dance your way into the experience of a lifetime! So you want to dance! Have you ever been to a Salsa club, or seen a couple dancing swing and thought, “I want to do that too”? Well, it’s easier than you think! Come have fun and enjoy the best social and competitive dance instruction El Paso has to offer. Whether you’re just starting out or an advanced dancer, whether you want to Waltz or Merengue, our experienced instructors are here to help! Your dance instructor will go over your personal dance goals and develop a customized plan to help you achieve them. Great classes, great people, great atmosphere and great dance instruction – it’s all here at El Paso Ballroom Dance Academy! Our beautiful studio is also available for Ballroom rental, photo shoots, rehearsals, video and movie productions, fairs, meetings, corporate events, wedding receptions and private functions. Call or Stop By Anytime – You’re Always Welcome!